Enjoy this 2,800 square foot home with two-car garage less than two blocks to the central business core with wonderful restaurants and shopping. 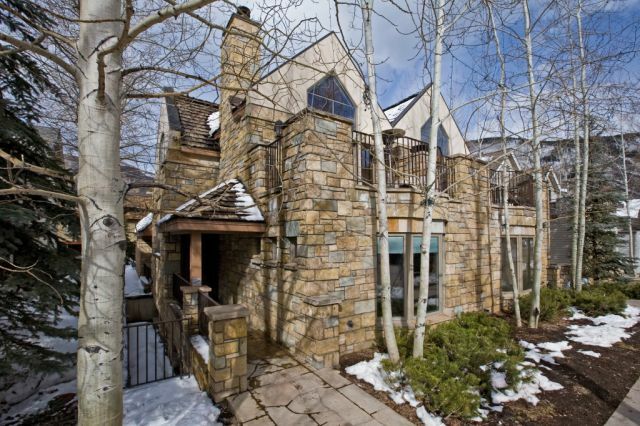 High ceilings allow you to enjoy the views of Aspen Mountain. 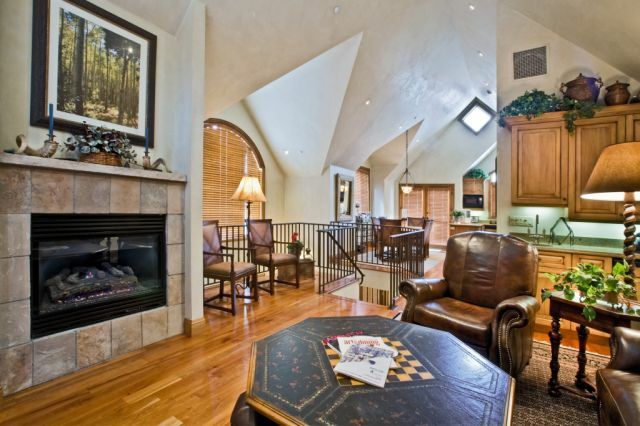 Upstairs you find two decks off of the living room, dining and kitchen areas with outdoor furniture, heat lamps and BBQ. 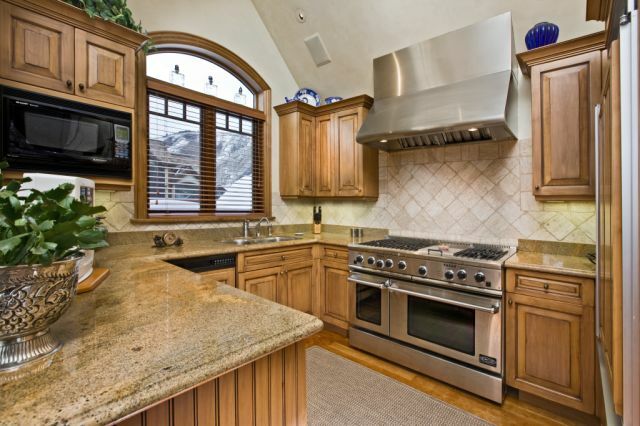 On the entry level you will find foyer, master bedroom, bath and two car garage. Lower level features bunkroom, den/office, third Bedroom and large media/living area with big screen TV and large semicircular sofa. 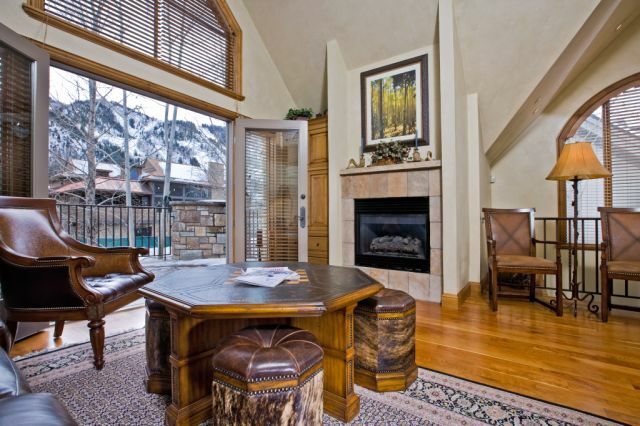 Enjoy this spacious and comfortable mountain home just two blocks to the Little Nell Hotel. Master Bedroom – King bed, gas fireplace, flat screen TV, walk-in closet and master bath with jacuzzi tub, shower and dual vanities. Guest Bedroom – Queen bed, flat screen TV and attached private full bath. 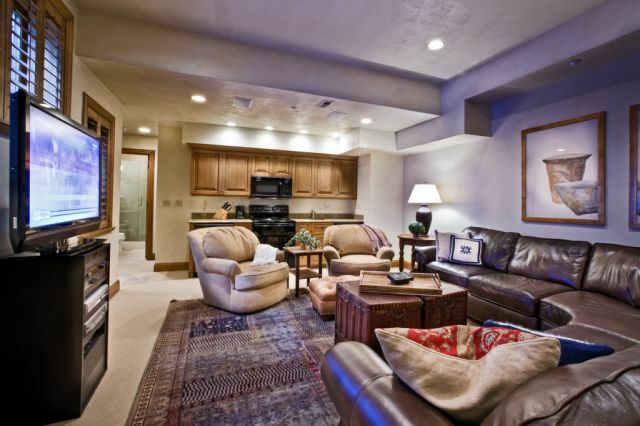 Full living room with 60 inch TV, kitchenette and entertainment area. Den/Office – Large open area with living and office area. Flat screen TV, ice maker, printer/scanner, desk & office area.